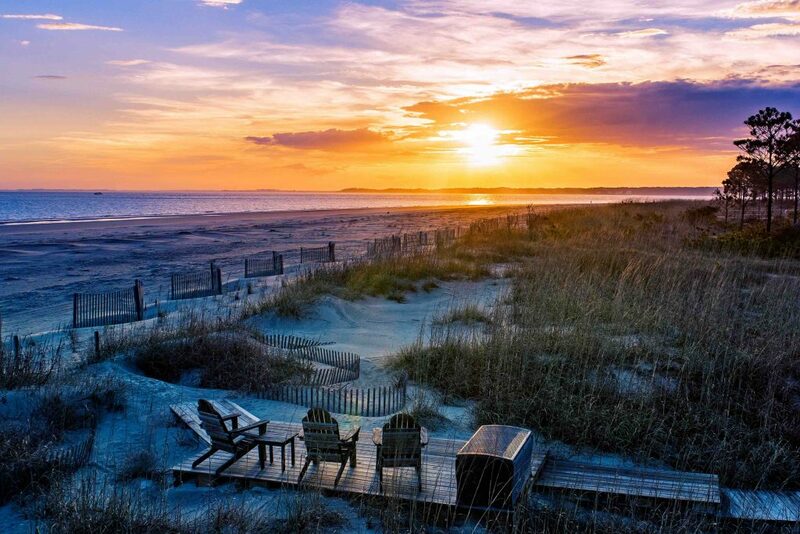 Located on the southern tip of South Carolina, Hilton Head Island has become one of the top destinations on the Atlantic coast of the USA for those seeking a sun-filled luxury lifestyle. 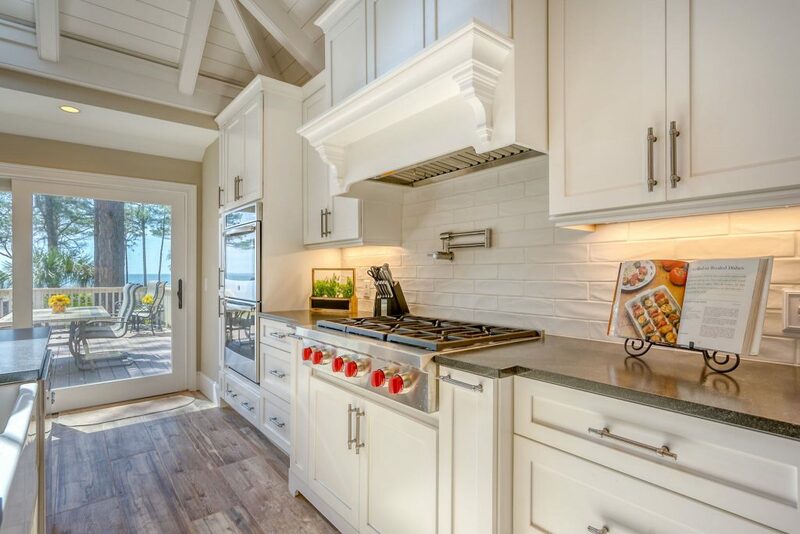 And if you’re in the market for a stunning second home – or want to live here year-round (winters are relatively mild compared to more northerly states) – you’d be hard-pressed to beat the calibre of waterfront luxury Hilton Head homes for sale. Take this stunning luxury home at 18 Bald Eagle Road in the popular (and ritzy) Sea Pines Resort area. 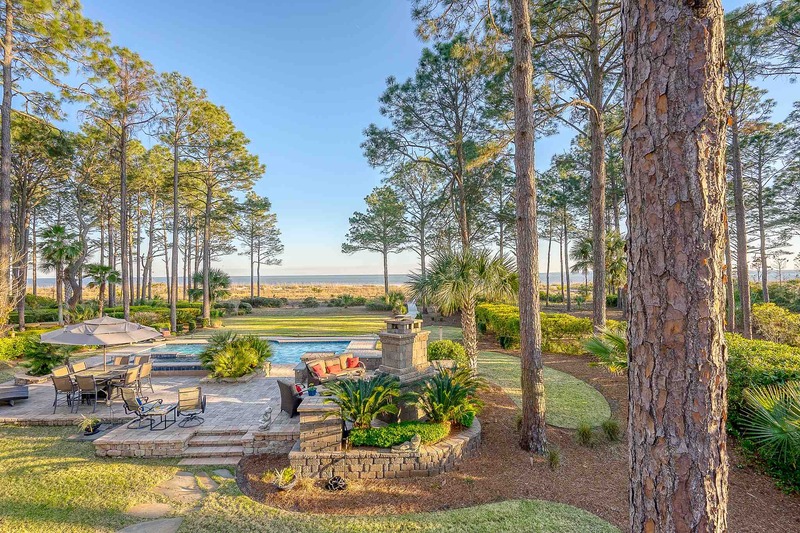 Boasting a magnificent southern Atlantic exposure and direct private access to the island’s 12-mile stretch of wide beach, this beautiful Low Country home is equally well-suited to those who enjoy an outdoors lifestyle as it is for those who enjoy a sumptuously decorated interior. Recently refurbished throughout, the lucky new owners will enjoy a bright, modern home consisting of some 5,000 sq ft of living space including six bedrooms and six-and-a-half bathrooms, ensuring plenty of privacy for friends and family alike. This is especially true of the huge master bedroom suite, which boasts incredible ocean views, separate spacious his-and-hers closets, and a chic ensuite that comes with a lovely clawfoot tub, a large walk-in shower, along with two vanity sinks. Visitors and family are equally spoiled when it comes time to turn in for the night. Of the five additional (and equally spacious) bedrooms, four have their own ensuite bathrooms, while the fifth is located across a hall from a full bathroom that doubles as a second laundry room. Two of the guest bedrooms also come with incredible views over the water, while the fifth bedroom (that with the adjacent bathroom) is just steps away from an access door to the pool area. 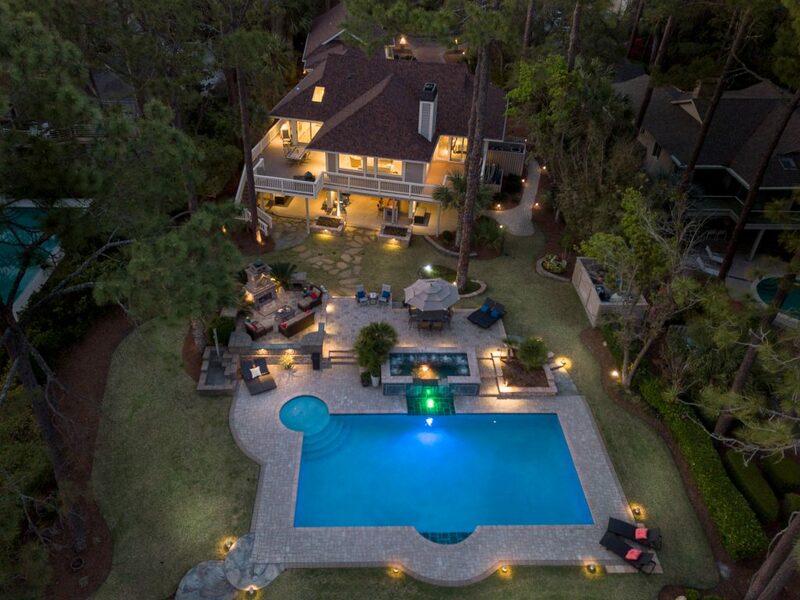 A highlight of this luxury house for sale on Hilton Head Island is the generous living space. The fully redesigned, open-plan main living area features equally stunning views from almost every angle, an effect that’s accentuated by its high ceilings and large new windows. From here, the elegant kitchen is easily accessible. Featuring top-of-the-line appliances, including a full-size wine cooler and ice machine, along with elegant custom cabinetry, this is definitely the place one’s guests will want to congregate and be entertained. Matching the house’s interior in terms of quality, the exterior amenities are certainly worth mentioning. Highlights include the large covered patio area with its own bar and outdoor fireplace. The real focal point, though, is undoubtedly the exquisite saltwater swimming pool, which even boasts its very own waterfall and fountain (there’s also a convenient shower close by). Also notable is the large wraparound deck, easily accessible from various indoor locations including the living room, master bedroom, and even the kitchen. However you get to the deck, here you’ll enjoy magnificent uninterrupted views over the Atlantic Ocean. This luxury home also comes with a large three-car garage. 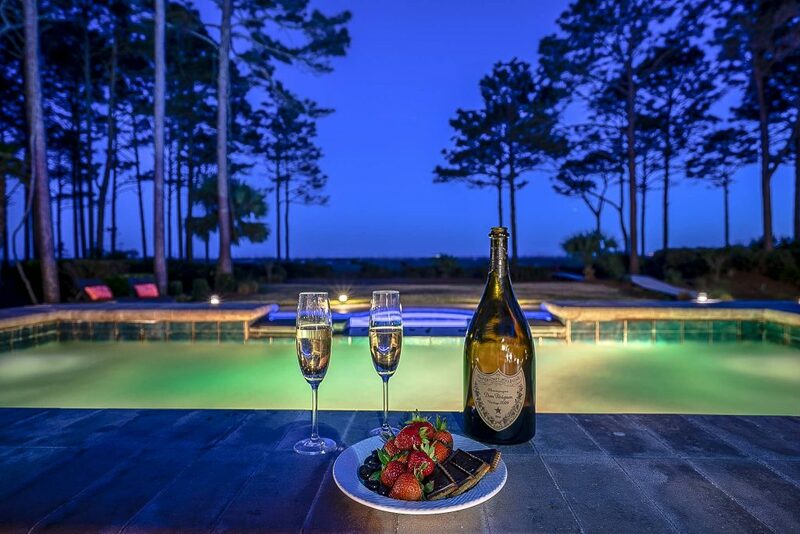 And as wonderful as this luxury Hilton Head real estate is, you’ll certainly want to take advantage of the many fun things to do in the Sea Pines Resort. Highlights include access to world-class facilities such as the prestigious Sea Pines Beach and Plantation Clubs, the Harbour Town Marina with its iconic lighthouse, endless bike trails, as well as more than 600 acres of nature preserve and gardens to explore. Sea Pines also boasts three excellent golf courses, including the well-known championship Harbour Town Golf Links. Hilton Head Luxury Home for Sale By… Real Estate Advisor Tammy Moody. Learn more about this Hilton Head luxury home for sale in South Carolina at www.hiltonheadislandlifestyles.com, or watch the video on Luxury.TV. Contributor Kim Kerr is a lover of the good life in Hilton Head… and everywhere.